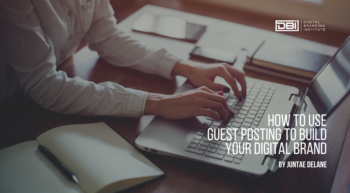 Have you performed in the past and spent hours upon hours promoting but still didn’t get the response you were looking for? Using these 3 tips you can learn how to brand yourself as an entertainer. You may be unfamiliar with how to properly brand yourself as an entertainer. Simply put, if your brand is weak, you won’t stand out. 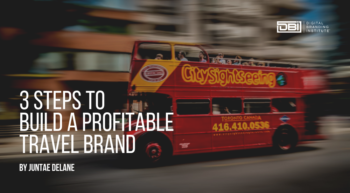 If your brand doesn’t stand out, you will not get the response you’re looking for. So now it’s time to start hustling to create a digital brand that separates you from the competition. Hustling in the entertainment industry is a common practice but can have a detrimental impact when branding yourself as an entertainer. Most entertainers are so focused on getting their career moving quickly that they often rush through creating a solid branding plan. This could create costly mistakes. Digital Branding Is Something That Involves Creativity, Consistency, and Discipline. When you brand yourself as an entertainer, you must put as much effort into branding as you do with protecting your craft. This is the main reason why there are thousands of ‘untapped’ talent or talented people of which no one has ever heard. If you have a strong digital brand, you may not need platforms of large-scale talent competitions such as The Voice or America’s Got Talent. You can get discovered by having a digital brand that accurately showcases your talent or skill. To brand yourself as an entertainer you should be looking to create a ‘buzz’ that will turn people into fans. Converting people into fans is the key element in digital branding. Many entertainers build a digital brand that showcases their personality but does little to convert people that interact with their brand. There is a critical distinction between personal branding and digital branding. Overlooking the differences can be a costly mistake when building your digital brand. As an entertainer, it’s important to know what your unique brand is and be able to express it in an authentic, and consistent voice to connect with fans and have a successful, long-lasting career. Here are great tips to consider as you are developing a strong brand. When branding yourself as an entertainer, you must have a game plan to market your brand. To start, make sure that your photos are professional, your logo communicates your brand effectively, and your website and social networking accounts are all consistent in imagery, and message. Now let’s take a deeper dive. “Storytelling” is a simultaneously over-hyped and under-utilized branding tool. Your story gives people additional reasons to invest in you emotionally and financially. Naturally, your story also needs to be authentic and credible, as people are more likely to respond to you when they feel you come from a decent and honest place. Keep all your media and marketing materials consistent. When putting together official websites, album covers, Facebook fan pages and press packs, many entertainers let their creativity take over and forget that one of the most important aspects of branding is consistency. Sometimes consistency can feel repetitive and constructive when you repeat the same words, images, and ideas over and over again. But it is necessary. Which messages and values are you conveying about your identity as an entertainer? Are these messages consistent with the type of entertainer you want to be? If you looked at all your materials, knowing nothing about yourself, would you be able to describe your fans? Does what you talk about on social media align with what you hope to communicate through your work and your personal values? Listen to your fans and create experiences that speak directly to them, but always stay true to your mission statement and be the authentic entertainer that you claim to be. While other aspects go into building a successful brand (mentioned above), download our free checklist which details the specific tactics on how to brand yourself as an entertainer. Take time to develop a brand that is you. Be strategic with your planning and promotions, and above all else, be disciplined and diligent as you brand yourself as an entertainer.